Your extra large flower painting will be an original artwork, hand-painted on three canvases. Each canvas is a 20″ x 20″ square that you can hang individually or as a set that fills a 62″ x 20″ space. 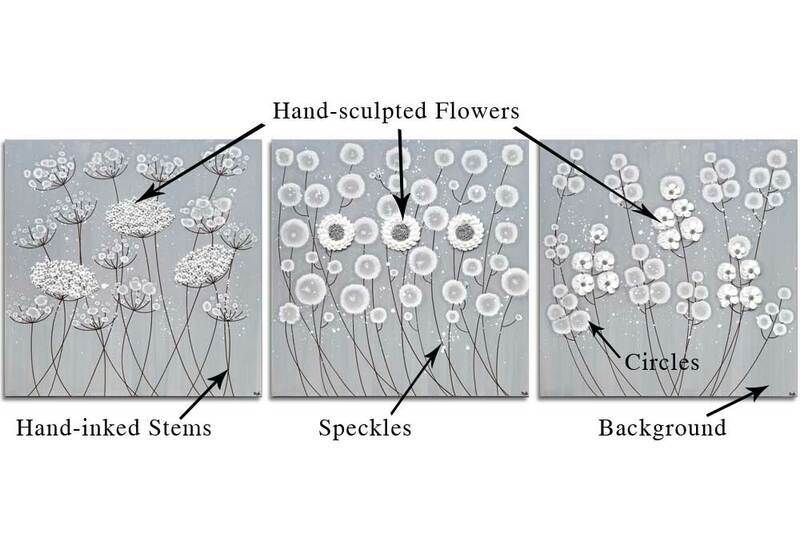 The 3D flowers will be hand-sculpted by artist, Bethany Ogle in the colors you choose. This is the best art size to fit above a king size bed. Step 1: Choose colors from the color chart below for the different parts of your flower painting. The circles are always white. Select your choices in the form below and click submit. Some parts of the painting have limited color choices from a drop-down menu. You can choose any color from the chart for all other parts. If you would like to see a mock-up of the color placement you choose, let me know in the “ask a question” box. Step 3: In two weeks, your custom painting will be complete and ready to ship to you. You will receive a shipment tracking link for your painting. 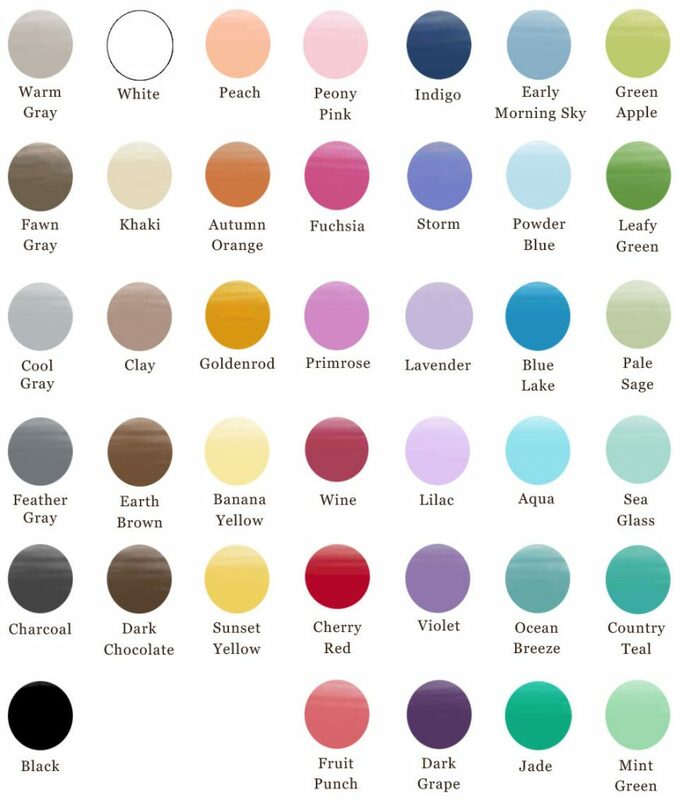 Select your color choices from the color chart in the boxes below for each element of your painting. Flower Wall Art, Triptych Wall Art. Bookmark.